Plumbing Repair and Service New Ulm MN | Drain and Sewer Services New Ulm MN	| GSM, Inc.
GSM offers the services you need to keep your home’s plumbing operating properly. GSM’s skilled technicians work efficiently to diagnose plumbing problems and employ a variety of cleaning services and techniques to resolve them quickly. If you are experiencing any of these issues, contact GSM today and for an inspection! Slow and clogged drains are a common problem for homes and commercial properties alike. Any number of things can cause drain problems, everything from hair and hygiene products to food particles and grease. While you can try any number of home remedies, sometimes, difficult drain problems require more than you can do on your own. That’s where GSM’s professional drain cleaning service comes in. 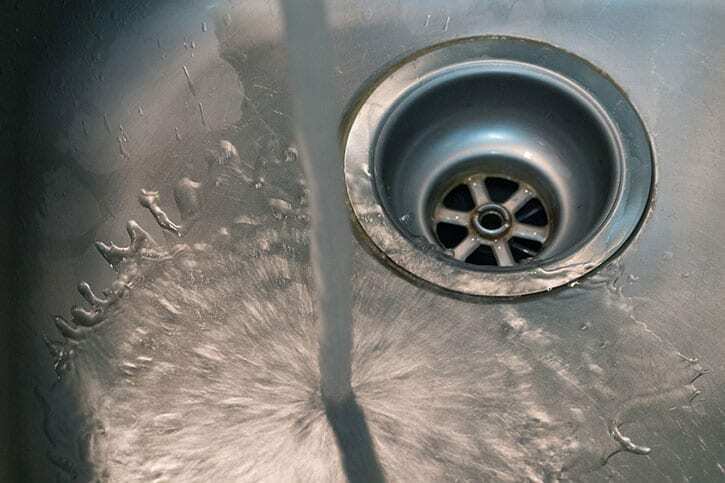 GSM’s knowledgeable, experienced technicians will identify the problem and choose the best methods to get that drain open and make sure that it remains clear. GSM uses the latest in water jet technology to clear out difficult, stubborn clogs and blockages. Water jetting utilizes water pressure to power through the toughest drain clogs. The process is fast, safe and efficient, clearing blockages that conventional methods alone can’t get through. Pressure jetting can be done on sink drains, sewer lines and even sump pump drains. And because the system uses water instead of harsh chemicals, the process is environmentally friendly. GSM plumbing technicians always take special care to leave your home in the condition it was when they arrived, so you won’t have to worry about cleaning up after they’re gone! Broken, deteriorated, cracked or worn out sewer lines need to be taken care of by a professional. While repair or replacement of a sewer line can be costly, the professionals at GSM have the knowledge, skill and experience to fix the problem quickly and limit disruption to yards, driveways and landscaping through the use of trenchless technology. Tree roots, age, freeze-thaw and any number of other factors can result in sewer line failure. GSM offers services such as trenchless pipe relining and pipe bursting to rehab or replace your sewer line without having to trench through your yard. These trenchless repair and replacement methods are significantly less invasive than traditional methods and save you the expense and headache of unsightly landscape, driveway and other restoration. Not sure what the problem is? GSM’s qualified technicians are ready to help you identify existing and potential issues with your plumbing or just perform routine maintenance. GSM will inspect your system with a pipe inspection camera and other tools, and provide you with detailed results and a list of recommendations for fixing or improving your plumbing. GSM has been providing quality service across southern Minnesota since 1904. In 2018, the company expanded into the drain cleaning, plumbing inspection and sewer line repair and replacement industries. GSM strives to provide exceptional service for all of your plumbing and drain cleaning needs.